Known as Suíça Brasileira (Brazilian Switzerland), Campos do Jordão is largely a touristic city since its mountainous landscapes and cool temperatures (relatively) make it a novelty in Brazil. 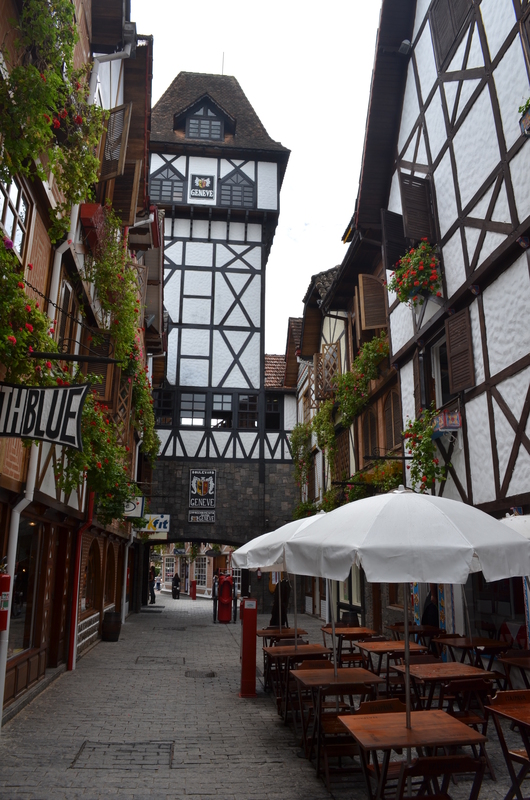 At a height of 1639m it is also the country’s highest city, and the abundance of German / Swiss styled architecture all add up to making the place strangely deceptive of the fact that you’re actually in Brazil at all. And, given the Swiss influences it’s not surprising that the city is also known for the production of chocolate, with Chocolate Araucária being one place you can visit to see it being made – it has a small museum, shop and viewing point to observe the production line. 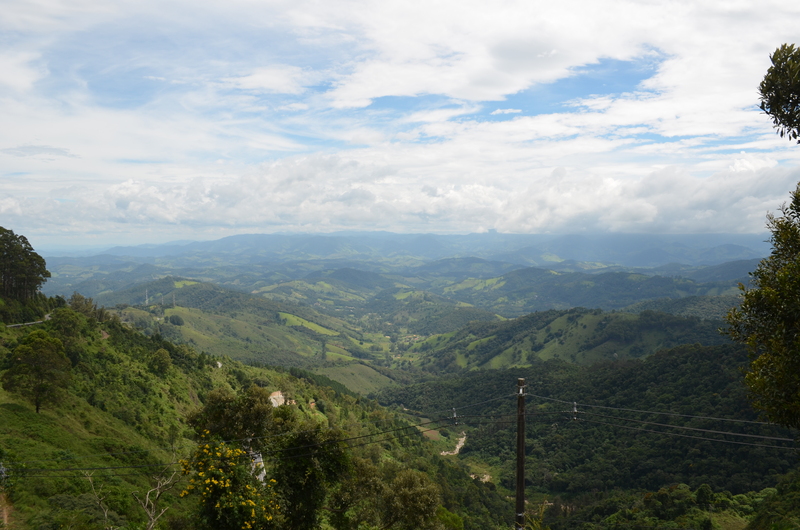 Due to its landscape Campos do Jordão is also known for its outdoor sports, and if you really want to ramp up the tourism factor there’s also the Bondinho (street train) and Teleférico (cable car). But anyway, enough of this tourism business. I wouldn’t be doing my beer tasting credentials any favours if I didn’t focus on the main reason for my visit – the Baden Baden Cervejeria. This place has left me with a serious urge to want to start my own Brazilian microbrewery. Who’s in? 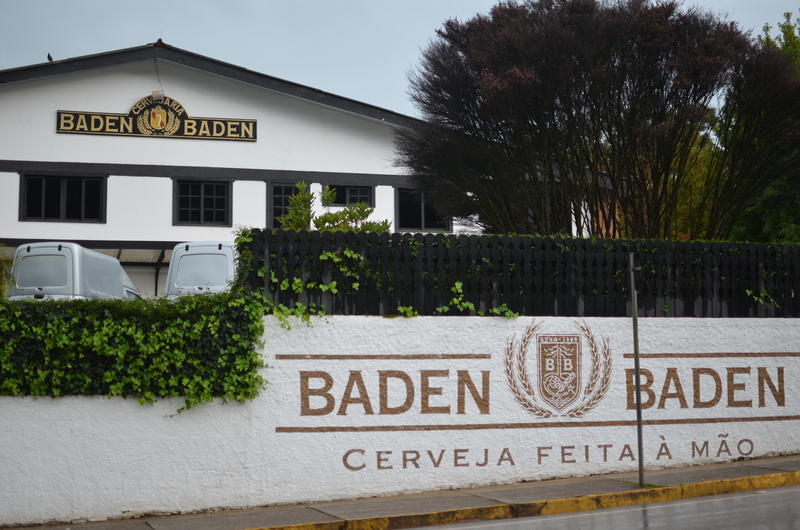 Tours / Visits: The Baden Baden factory is a short distance from Vila Capivari in Campos do Jordão. Tours cost R$15 per person but this includes two chopes (clear and dark), as well as a free copo (glass). Tours should be booked in advance (details on website). Baden Baden was founded in 1999 by four friends / beer enthusiasts who wanted to recreate the distinctive tastes that were until that point only available in Brazil through imported beers. Using Spitfire, a British beer, as their reference, the four friends spent a year testing various combinations until they realised that they would need to hire a Master Brewer if they were to ever produce a sell-able beer. The hiring of a Master Brewer paid off when after months of testing they produced the Red Ale beer – the first microbrew beer from Brazil. Over time Baden Baden grew and in 2007 it was acquired by Grupo Schincariol, although its production remained in Campos do Jordão. Baden Baden now produces eight regular types of beer, as well as a range of seasonal ones (see below). The name Baden Baden, comes from a restaurant of the same name in Vila Capivari (which is itself named after a town in Germany). The restaurant, open since 1985, is owned by José Vasconcelos – one of the four friends who opened the Baden Baden brewery in 1999. Unfortunately, whilst Baden Baden does indeed produce tasty beers the name will (for me at least) forever recall images of WAGs and England’s disastrous 2010 World Cup campaign – Baden Baden was the German town in which England were based for the tournament. Other than from the factory itself, it is increasingly common (in São Paulo at least) to find Baden Baden beers in larger supermarkets, as well as specialist beer emporiums. Cost: In the supermarket, a 600ml bottle usually retails at about R$10 ($5; £3.50). One of the highlights is the Golden Ale, which is brewed using cinnamon. However, expect some Baden Baden beers to be included in my Brazilian Beer of the Week feature once I’ve got through my crate. ← UK visa controls for Brazilians: just more hot air from the UK government? I am a long time lurker and am really enjoying your Brazilian beer tasting adventures 🙂 Although I suspect you’ll run out of nice beers to try pretty soon lol, there are not that many microbreweries in Brazil! Campos do Jordão is indeed a very nice place, specially NOT around winter when the place is absolutely packed with tourist. Stay away from it in July! They are really special, but not so easy to find. You’ll need to hunt them down. Actually, apart from Eisenbahn, Colorado and Baden Baden, all other micro beers are much harder to find. You’ll need to find the specialized beer selling places and go deep into beer nerd territory. Have fun! Hey Andreas, long-term lurkers are more than welcome! I’ve heard CDJ can be a bit hectic during July and also expensive, so I think March was probably a good time to go. I’ve only tried the Cristal, Golden and Bock so far. Wasn’t a huge fan of the Cristal but the Golden’s cinnamon flavour was interesting. Not sure I’ve had cinnamon in a beer before! I’ve not heard of Wals though so I’ll definitely be giving that a try…if I can find it! I found Wals in our supermarket yesterday. 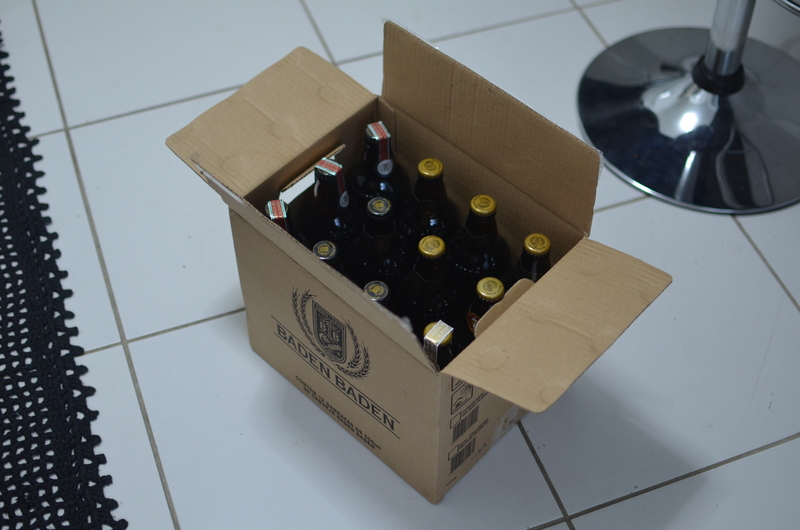 It was R$14 but I bought a bottle of the ale anyway. Will let you know what it’s like! I’m in:-) By the way, happy birthday! Hey thanks but I’ve already found a shop in SP that sells all the good stuff! Check out beerlovers.com.br! Nice!!! They even have a kit to make Guinness! Are you actually going to use the water of Sao Paulo? Well, that is one worry, but if Cervejaria Nacional do then so can I! Hallo liebe Leute, kann mir jemand mitteilen, welche Möglichkeiten es gibt das Baden-Baden Bier in Deutschland zu kaufen oder nach Deutschland zu importieren? Wow that place is amazing, so Swiss … glad I followed the link from the beer post. I brought 4 different Baden beers back to the states. The golden was awesome. I’m going to check around but do you know of a way to order it?